If you live in the 54th District you've seen our newest mailing. I'm very happy with this idea. 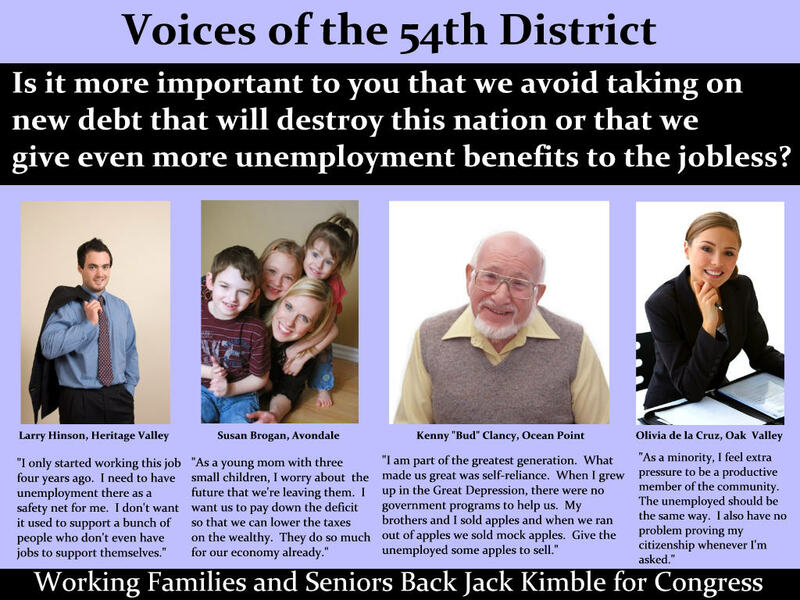 Instead of giving you my opinions on the issues of the day, Voices of the 54th District lets me see what district voters think. This isn't stacked, we may even get a Democrat or two. However, I think it's important that if I am casting votes for you in Washington, I see what you're thinking on Main Street.